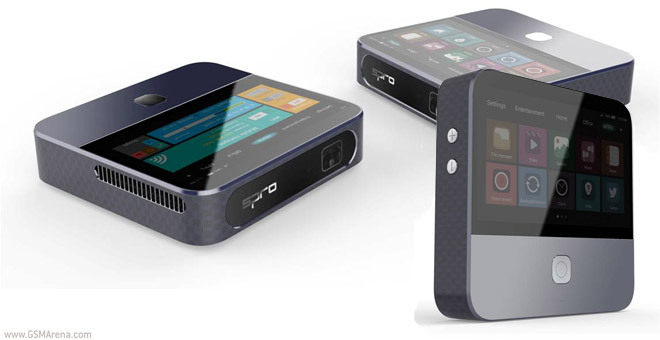 The Spro 2 also acts as an Wi-Fi hotspot, sucking up 150Mbps of LTE data and spitting it back out over Wi-Fi. It has a 5″ device on its face with the unusual 1,280 x 820px resolution. It runs Android 4.4 KitKat on the Snapdragon 800 chipset (the quad-core Krait 400 CPU is clocked at 2.1GHz) with 2GB of RAM. You can play videos from the device itself or use HDMI, Bluetooth or USB for external input. The USB is a full-size port. Aside from videos you can use any Android app you can think of (thanks to the Play Store access and fast chipset) and get an up to 120″ picture of 720p resolution. The projector outputs 200 lumens and will deplete the 6,300mAh battery in 3 hours. 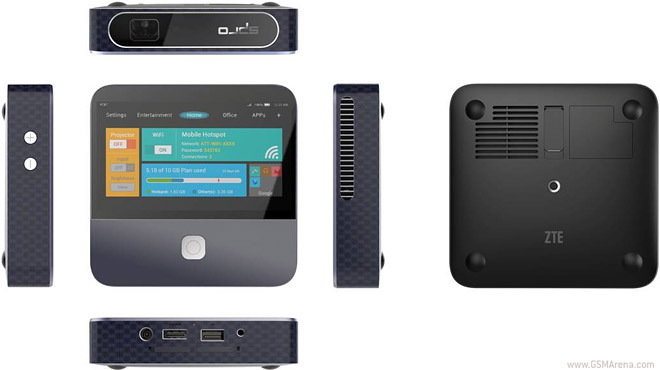 The hotspot will last 10 hours on a charge and features Wi-Fi sharing on 2.4GHz and 5GHz for up to 10 users.